Waaahhh.... The story of a 28 years, NEET, old man who once again in his life must living as a high school is finally come to an end. 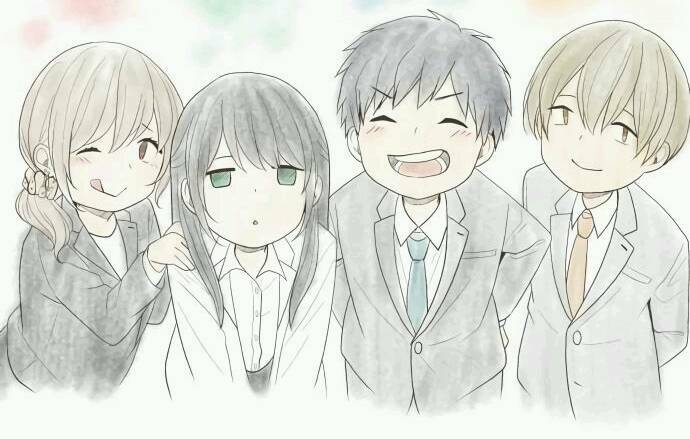 Although I know that someday Kaizaki's ReLIFE will come to an end, still it's always feel kind like lonely and feels empty when my favorite series must come to an end. Kaizaki's ReLIFE must come to an end in 222 manga chapters, while the Anime got 13 episodes + 4 conclusion episodes (Kanketsu-hen). I will really miss the characters. Though I think there are some story that can be developed more like Honoka's love story or Yoake-An relationship which are still shady to me. 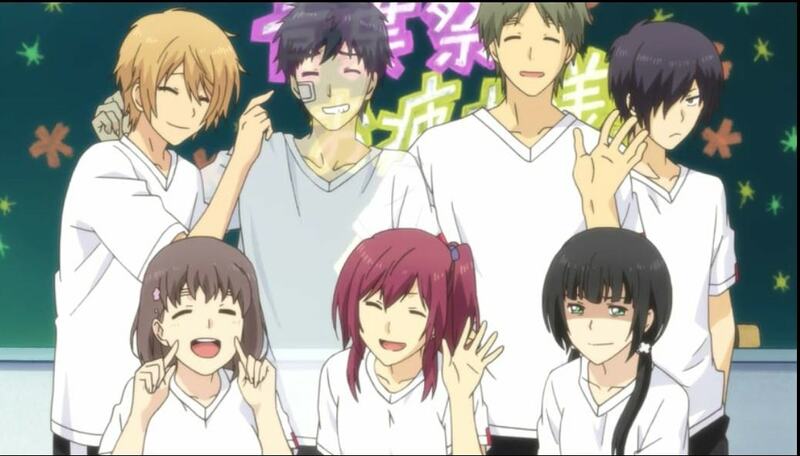 ReLIFE, both on the Manga (or Webmanga) and the anime are having perfect ending. The anime which was stop till' episode 13, which are around chapter 120 on the manga just received conclusion episodes consisted of 4 OVAs recently on this March. Unlike the live action that received original ending (from reviews I have read), ReLIFE Anime consistently following the Manga plot. Although many important plots skipped due to lack of episodes. Of course the Anime must been having a hard time to take all the 102 chapters left in the manga. And because the missing plots, the anime is become emotionless compared to the manga. This is come from my mouth, errr... I mean from my finger who are a manga-first person. 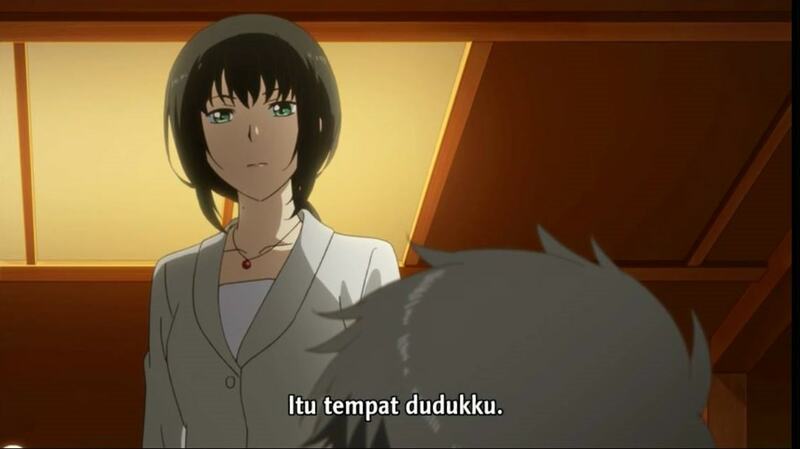 The most beautiful moments in ReLIFE days. LOL. Now there it is the Hishiro that I will miss... Asking about a Kiss with a killing intent face hahaha.
! WARNING - SPOILERS AHEAD ! I'm glad that the Author, Yayoi Sou were gave a perfect ending for Kaizaki and Hishiro. 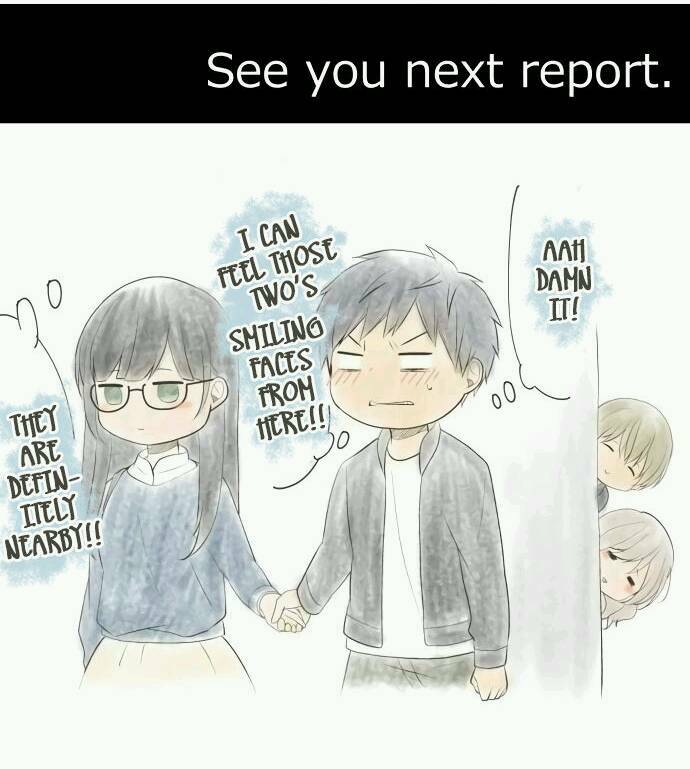 Kaizaki end up being a ReLIFE support division while Hishiro has chosen her career at ReLIFE research division. This is the ending I always predicted (or I wish, hehe) since the truth about Hishiro being a ReLIFE test subject were revealed in the story. "So I was dating a 29 year old woman this whole time!" LOL. 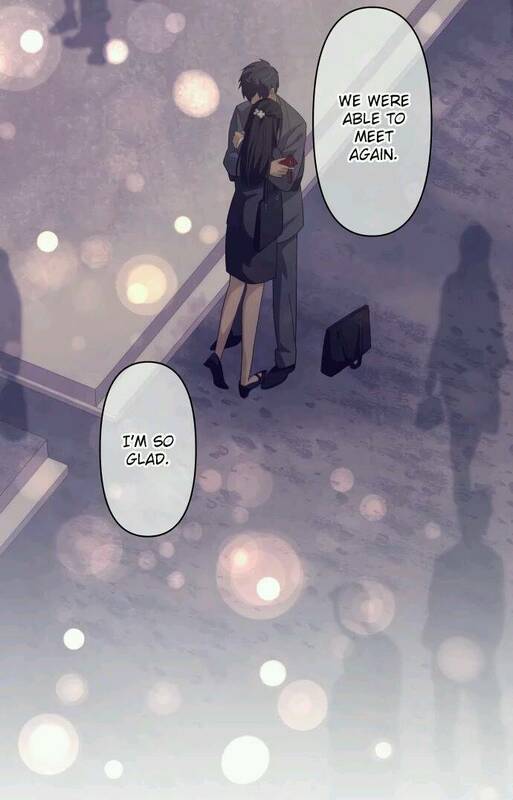 The best ending, to be a honest that I'm become a Manga reader not too long, maybe just around 3 year until now, and this is the best ending I ever found in a manga (usually I got sad or bittersweet ending, Man :'( ). Hishiro is trully beautiful in her adult form, with her new hairdo. Fans wins, we got all we want. Criticus may come arise with this too good to be true ending, LOL. I also was hoped that maybe some accidents at the ending would be good too like Hishiro collapse when her memories were back, something like that. That would make ReLIFE to be 'more human' :v . But it's the fate, the fate in the hand of the author, and I can't do nothing except saying Thank You for this amazing, full of laughs (and full of sadness :'v ) ride, Yayoi Sou sensei :D .
As I said above, ReLIFE just recived the conclusion episodes recetly on this March. The season release anime gave ReLIFE 13 episodes, and for me the Anime was doing a great work for adopted the manga. The anime is really loyal to the manga especially the art. The soundtrack is great, and the oldies ending soundtracks was really briliant. The ReLIFE Kanketsu-hen (Conclusion arc) is just a conclusion, nothing more. The 4 episodes are not fit enough to be called a continuation of the previous 13 episodes ReLIFE Anime. Many important plots were skipped, and now I cannot get the feel of the characters sudden emotion exlosions. The best part of ReLIFE Kanketsu-hen is on the latest part of episode 4 (Report 17). This was the part I most like, the scenes combined with the background soundtrack once again took me feel the drama, the slice of life, that I think the best part from ReLIFE. The different point of view from the manga when Kaizaki and Hishiro once again meet is also one of best parts. In the Manga Kaizaki and Hishiro memories were triggered from the phone straps, but the Anime took the Fireworks memories as the memory triggers where it is the climax from the last ReLIFE season release episode on episode 13. 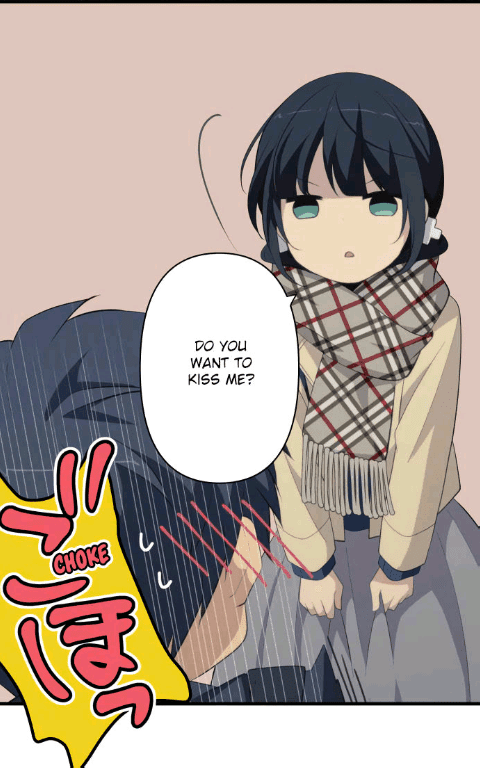 A great story with heavy slice of life, funny comedy, and cute chibi scenes. 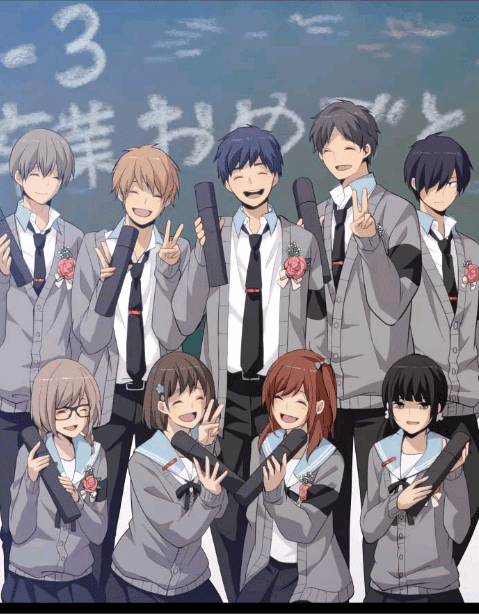 ReLIFE will definitely become one of my favorite that I would not forget for a long time. Also, waiting for Yayoi Sou next project :D .
Comments (0) in "ReLIFE: Impression and Opinion [Spoilers]"